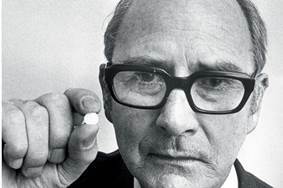 Sixty-seven years ago, Australian psychiatrist John Cade published his case series on manic patients treated with lithium – truly the dawn of the modern era in psychopharmacology. Two decades passed before lithium came to Canada, and almost three before it came to the United States. In the treatment of mania, it was the first significant drug alternative to the only other enduring treatment from that time – electroconvulsive therapy. Today, however, lithium suffers from under-promotion (there is no money to be made on it by the pharmaceutical industry) and under-exposure in the training of residents despite the evidence of its benefit that continues to emerge. Here is a new paper that looks at suicide and self-harm during maintenance treatment of people with bipolar disorder treated with lithium, valproate or the increasingly popular second-generation antipsychotic drugs. And here is an old paper that reminds us what a difference lithium had already made in the economics of mental illness by 1980. This week, hundreds of thousands of Canadians will not go to work because of mental health problems, depression being the most common. But despite the long shadow cast by depression on our society, it’s difficult not to feel that we fall short in terms of our active management. 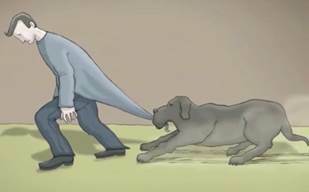 Many people struggle with their symptoms; even when they can beat the “black dog” – to use Winston Churchill’s term – they are at high risk for relapse. Can we do better with the black dog? Here are two papers that look at bettering outcomes. 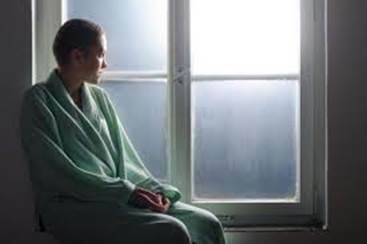 In the first, the authors ask if mindfulness can prevent the relapse of depression. The second paper considers the use of statins to improve the effects of antidepressants. Patrick is not participating in physiotherapy, and is thus not eligible for discharge. To the staff on the orthopedics ward at the hospital where I work, that’s a Big Problem. On Tuesday afternoons, I finish at the Birchmount campus of The Scarborough Hospital and drive to the General, where I see patients on medical and surgical floors. And on a recent Tuesday, I met Patrick. For the record, Patrick has more than one Big Problem. Patrick smokes and he drinks too much. Patrick has diabetes and lung changes. Patrick is obese. And it’s the combination of all of the above that led to the fall that left him with the fractured hip and the surgery. If Patrick is doing badly – this is his second hospitalization in fifteen months – it’s not for lack of health-care effort. Since his last discharge, he has seen an endocrinologist, his family doctor, and a respirologist. Patrick has home care. Patrick is, in other words, a heavy user of the health-care system. And if we are serious about restraining health costs in light of an aging population, we need to find better ways of dealing with people like Patrick. This week’s Reading: an excerpt from the new Maunder-Hunter book. In it, the authors forward the following idea: people like Patrick can be better helped if we think about attachment theory. As you will recall, attachment theory is based on experiments with children exposed to strangers. To summarize (and possibly oversimplify) some very clever experiments: after seeing the stranger, if the child seeks out the parent, and is soothed, it’s considered healthy, or secure attachment, as opposed to insecure attachments, like avoidant attachment and resistant attachment (where the child is less interested in the parent or is difficult to soothe). 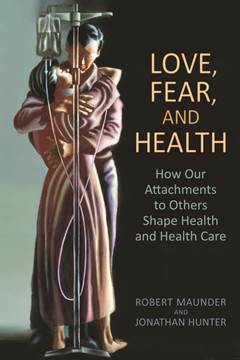 This is a terrific and important book – and of interest to all clinicians. It’s thoughtful and relevant. Do you see patients? You should get this book.